Mangaluru, July 05, 2018: The Dakshina Kannada Zilla Panchayat has initiated ’Akshara Kaithota’ (a kitchen garden) to grow vegetables, fruit-bearing plants in 1,000 schools. The garden will be developed under funds from Mahatma Gandhi National Rural Employment Guarantee Scheme (MGNREGS) in association with the Horticulture Department and the school development and monitoring committees. 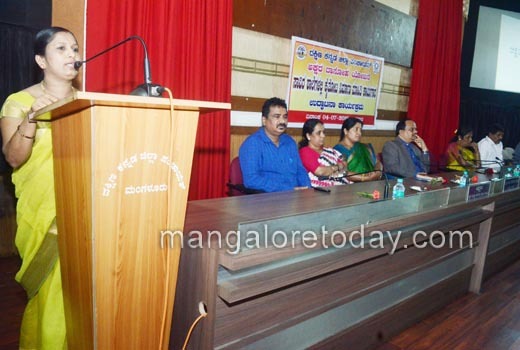 Speaking at a workshop on Akshara Kaithota for school headmasters of Mangaluru taluk, in Mangaluru on July 4, Wednesday, Zilla Panchayat CEO Dr M R Ravi said that through the garden, the children will get nutritious food. This will also help in instilling ‘farming culture’ among the schoolchildren. 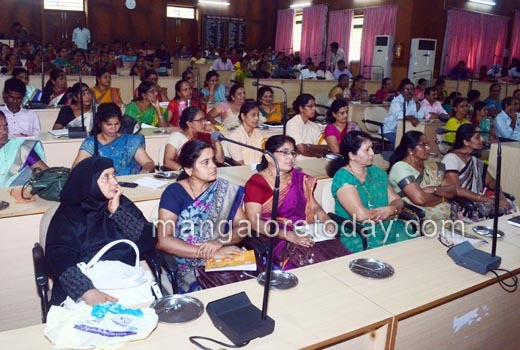 The officer said that there are 1,456 schools in Dakshina Kannada, where 407 schools already have vegetable gardens. Further, under MGNREGS, a total of 1,40,000 mandays will be created and will provide employment to 3,800 job card holders. The CEO said that Akshara Kaithota can be developed in 942 schools under MGNREGS. The garden will be raised in other schools through the help of donors. Along with fruit-bearing plants even vegetables and leafy vegetables will be grown. As many as 730 schools have more than 1 acre land. The entire land will not be used for the laying of the garden. This year, Akshara Kaithota will be laid on 107 acre land. There is shortage of space in schools in urban areas. Hence, it has been decided to cultivate vegetables through grow bags. The vegetable gardens developed in 407 schools in the district in the past have been lauded at state-level and the higher authorities have issued guidelines to have such gardens in all schools across the state. Bio fence : The CEO further said that efforts will be made to lay bio fence in those schools that do not have a compound walls in rural areas. Jatropha saplings will be planted to create bio fence. Schools can also grow teak wood. The Horticulture Department has 40,000 teak saplings which can be collected to plant in school premises.